What’s it take to look like a superhero? 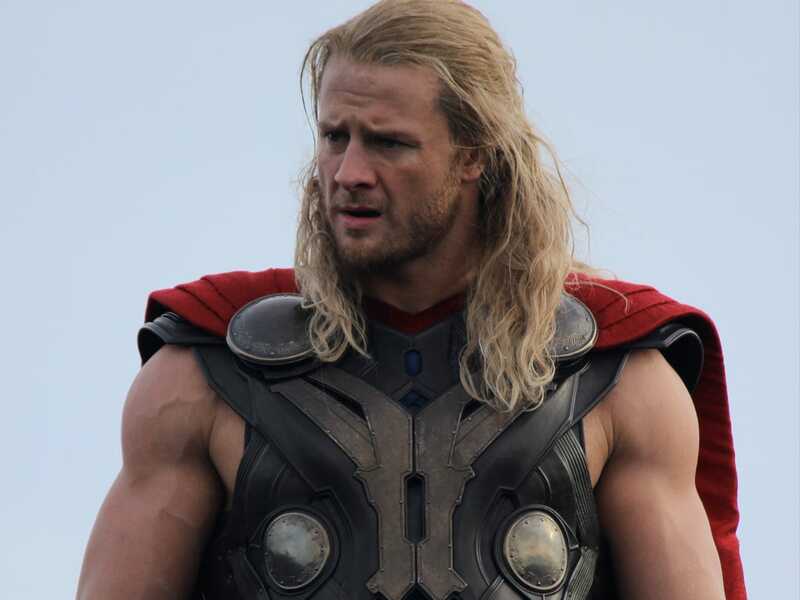 For Bobby Holland Hanton, body double for Chris Hemsworth’s Thor, it involves 35 meals and two training sessions a day to get “anywhere near” where he needs to be to replicate the Australian actor’s size. “Chris is naturally a monster; all he has to do is look at weights and he grows,” Hanton told BuzzFeed last year. Since that’s roughly 30 more meals than the average Thor wannabe can power down on a given day, a growing number of men have begun using anabolic-androgenic steroids over the last 40 years to gain muscle and lose body fat. The vast majority of these steroid users in the U.S. aren’t athletes looking for a competitive edge — they’re amateur weightlifters trying to get more cut, says Harvard Medical School professor Harrison Pope, author of dozens of studies on the subject and the 2002 book The Adonis Complex: How to Identify, Treat and Prevent Body Obsession in Men and Boys. Pope’s most recent article is “Body Image Disorders and Abuse of Anabolic-Androgenic Steroids Among Men,” published in the Journal of the American Medical Association this past January. We recently spoke with Pope about why guys have become obsessed with getting jacked, how that obsession resembles anorexia in young women and the time when Luke Skywalker and G.I. 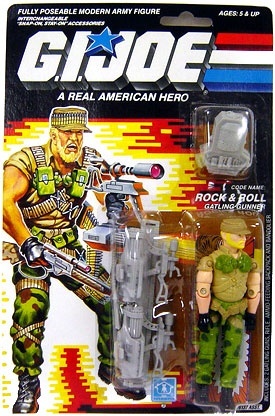 Joe action figures couldn’t even bench their own weight. In body dysmorphic disorder, people develop a preoccupation that some part of their body is ugly or unacceptable — their nose is crooked, their smile is uneven, their eyes are too large or too small. Their concern can rise to the point where it almost becomes a delusion, and they become so preoccupied with their appearance that they may not even venture out in public. Muscle dysmorphia is a subcategory of body dysmorphic disorder in which the focus is on someone’s muscularity. Back in the late 1980s and early 1990s, bodybuilders used to call it “bigorexia.” In anorexia nervosa, young women have a distorted view of themselves and will look in the mirror and think they’re fat even though they’ve dieted to the point where they weigh 79 pounds. With bigorexia, a 250-pound guy with a huge amount of muscle looks at himself in the mirror and still thinks he looks too small. And most of these guys aren’t competitive athletes, but rather non-athletic weightlifters, right? That’s a critical piece of information. The general public still thinks of steroids as cheating athletes; they ignore the other 90 percent of steroid users who have no particular competitive athletic aspirations — they just want to get big to look good. Paradoxically, though, they may develop muscle dysmorphia even if they’re gaining a lot of muscle, since they become preoccupied that they’re still not big enough. It can become self-perpetuating in this way. It sounds very similar to anorexia. It is. And one of the big problems with anorexia is that people usually don’t want to be treated by a psychiatrist because they’re afraid it may make them fat again. Men with muscle dysmorphia — there are some women, but most are men — don’t feel that they have a psychiatric problem. They simply feel that if only they were a little bigger, everything would be fine. How does this relate to obsessive compulsive disorders? In classical obsessive compulsive disorder, you have somebody who maybe washes his hands 200 times a day and wears rubber gloves when he goes out because he’s so afraid of contamination and germs. In anorexia nervosa, we classify that in psychiatry as an eating disorder, except the obsessions surround the belief that one is too fat, and the compulsion is extreme diet. In muscle dysmorphic disorder, the obsession is that one is not muscular enough, and the compulsion becomes weightlifting and possibly use of anabolic steroids. Prior to the 1980s, steroid use was largely restricted to elite athletes. What led to the shift from the athletics to the general population? Two things: The first was the appearance of underground guides on to how to use steroids — e.g., The Underground Steroid Handbook, which came out in 1980. Others quickly followed. These guides provided details about how to inject the drugs; how to use combinations of the drugs; how to deal with the side effects; what doses to take, etc. That helped spread awareness of just how effective these drugs were. The second factor was an increasing focus on male muscularity in our society, which really started to gather steam in the 1980s with movies like Conan the Barbarian, Rambo and The Terminator. I’ve published a number of papers and an entire book on the ways the image of the idealized male body has shifted toward increased muscularity. 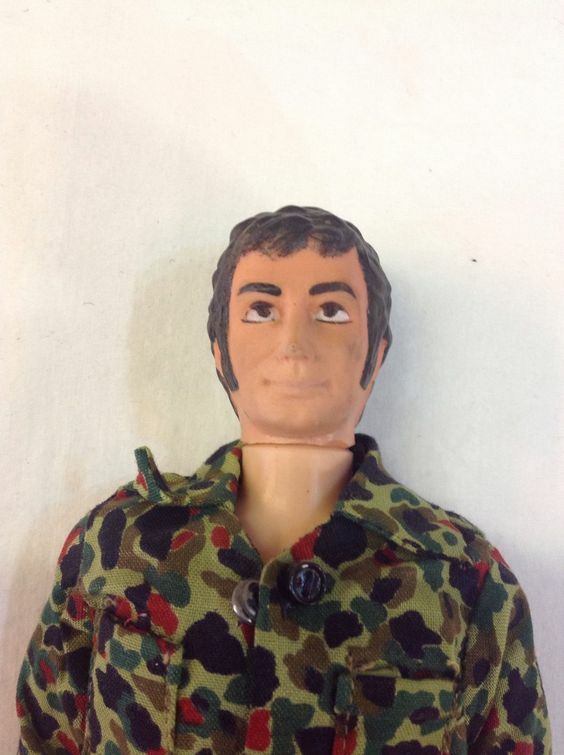 Perhaps the most famous one looked at the evolution of male action toys little boys play with. 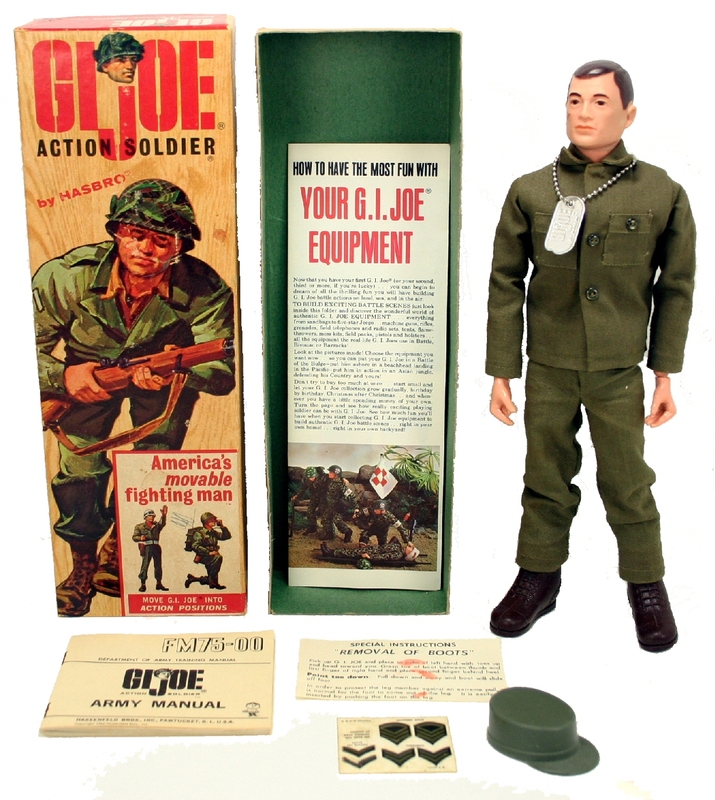 For example, when G.I Joe first appeared in 1964, he was a perfectly ordinary-looking guy. If you scaled him up to the height of an actual man, he would’ve had a normal chest and a normal 12-inch bicep. But by the 1970s, he’d already gotten more muscular, and by the 1990s, he’d become dramatically more muscular than he’d been before. On both visual inspection and anthropomorphic measurement, it appears that action figures today are consistently much more muscular than their predecessors. Many modern figures display the physiques of advanced bodybuilders, and some display levels of muscularity far exceeding the outer limits of actual human attainment. I believe this is one of many symptoms of an evolving pressure on men in Western society that they should look more muscular. How common is muscle dysmorphia? That’s hard to know, because people who have it definitely aren’t going to come forward and talk about it since they’re resistant to publicize their insecurities about their muscularity. But our best guess based on what little data we do have is that the number is probably in the hundreds of thousands. How early does it begin? The median age for starting steroids is about 23. The high school surveys are mostly false positives. A kid will say, “Oh yeah, I took steroids; the dermatologist gave me steroids for my acne or poison ivy,” failing to realize that that kind of steroid is a corticosteroid, not an anabolic steroid, which is a totally different drug. They don’t realize that real steroids are illegal, black-market substances. So the true rate among high school students is quite low, and the big problem is in people in their 20s and 30s. Most drugs are used to help calm social anxiety — whether prescribed or recreational. In some ways, it sounds like you’re saying that’s why people seek out steroids, too — to feel better about themselves, especially around others. How then are they different from weed or booze? You and I could go out and drink a lot of alcohol and end up comatose on the floor. But a little later we would wake up, the alcohol would be out of our system and we would go back to normal. Or we could use cocaine for three days and get completely wasted. But eventually, we would fall asleep and the cocaine would leave our system and we would be free of the drug. Steroids are completely different. If you inject anabolic steroids — or take them orally — you’re going to have levels of testosterone 20 or 30 times greater than Mother Nature intended 24/7 for months. As a result, the body is exposed to this toxicity with no chance for relief. There’s no break. That’s especially a problem for the heart, the strongest muscle in the body and the only one that never rests. If your heart is exposed to high levels of steroids 24 hours a day for months or years at a time, the toxicity is far more dangerous than the toxicity you get from a one-shot exposure to a drug. Performance-enhancing drug use ranks ahead of Type-1 Diabetes and HIV infection in prevalence, yet resources to address it are negligible in comparison. Why is that? It’s largely because both the general public and professionals aren’t fully aware of the steroid problem. The majority of steroid users are into their 20s and 30s and are no longer under the surveillance of parents, coaches or teachers. They’re just independent men; nobody’s looking over their shoulder and seeing their drug abuse. The other way we find out about drug abuse is from people who show up in the emergency room. An overdose of opiates, alcohol or cocaine can put you in the emergency room, but even if you take a massive dose of steroids, that won’t necessarily bring you to the emergency room because there’s no immediate acute effects that would cause a medical crisis. So steroid users pass completely under the radar. That’s why the severity of the problem is underestimated. It sounds like a slow-motion car wreck. It could be. These drugs didn’t become widespread until the 1980s. The oldest members of that population are just in their 50s today. Imagine by analogy that widespread cigarette smoking didn’t exist in the U.S. until the early 1980s, and further assume that the vast majority smokers were still under the age of 55 today. In that hypothetical scenario, there would be the occasional case report of lung cancer and the occasional small case series of emphysema. But we’d have no idea what was about to hit us.